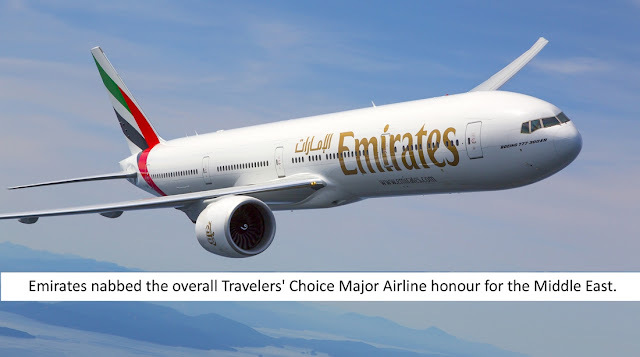 Karachi / Dubai: April 5, 2019 – Emirates has been awarded Best First Class in the world at the 2019 TripAdvisor Travelers’ Choice® awards for Airlines. The airline also clinched several other awards including Best Regional Business Class Middle East, Best First Class Middle East and nabbed the overall Travelers' Choice Major Airline honour for the Middle East. TripAdvisor has awarded the world’s top carriers based on the quantity and quality of reviews and ratings for airlines by TripAdvisor flyers, gathered over a 12-month period.